Children are complex emotional puzzles sometimes. Each month we will take a closer look at one of the ways that emotions can create negative issues in a child or adolescent’s life. We will take a look at some of the warning signs that we can watch out for along with a few suggestions for how to respond as a loving, caring parent, guardian or mentor. 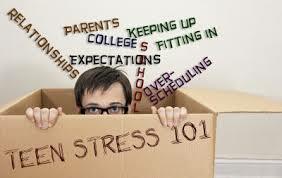 Teen Stress 101. This month we address the challenges of teen stress and review some of the reasons why young people are more stressed out today than ever. Enjoy the discussion of our focus on this month’s emotional problem by clicking here.